The User Authorization report gives an overview of all the Authorization Rules that have been set up for a Brand. 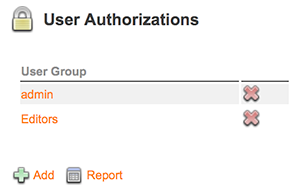 Note: An Authorization Rule is a combination of a user group, Category, Workflow Status and Access Profile. They are created when adding a user to a Brand. 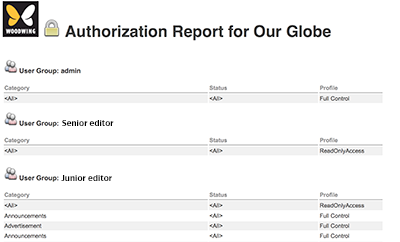 The User Authorization report for a Brand named 'Our Globe'. Step 1. 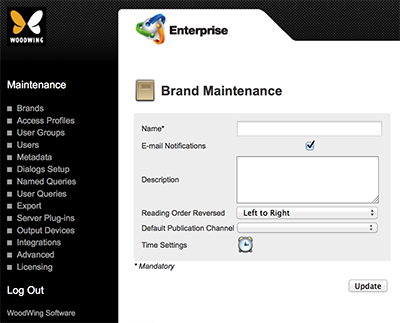 Access the Brand Maintenance page for which a report needs to be run. Step 1b. 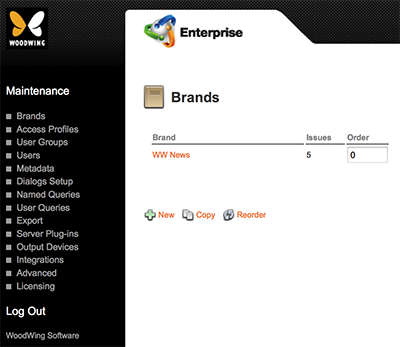 Click the name of the Brand in which a report needs to be run. Step 2. Locate the User Authorization options.